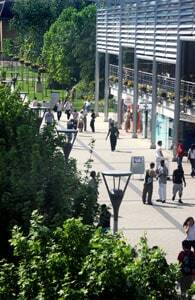 Brunel University is a world-class university based in Uxbridge, West London. Now over 40 years old, our mission has always been to combine academic rigour with the practical, entrepreneurial and imaginative approach pioneered by our namesake Isambard Kingdom Brunel. Welcome to students from Thailand. 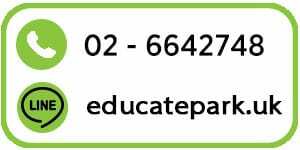 We are very aware that both parents and students from Thailand place a very high value on higher education and aspire to overseas education. 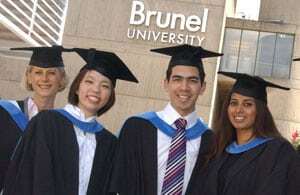 We are delighted that Brunel University is well known in Thailand and as a result we consistently attract high achievers. Thai students are attracted to Brunel by its international reputation for research and teaching excellence and its dedication to supporting students throughout their time at the university. Situated on a relaxed, modern campus in west London, Brunel students are well-placed for enjoying the social and cultural facilities around London. The English language courses provided by IPLC are designed to meet your individual needs and prepare you for academic success; from our year round programme English@Brunel, to our shorter intensive Pre-sessional English language programme. We offer a friendly and supportive environment, with small class sizes and a dedicated teaching staff. Brunel University offers support and guidance to all our international students through our Placement and Careers Centre as well as assistance in finding part-time work. The big plus of living in a campus-based university is that the majority of your needs are catered for on-site, including the Library and Computer Centre, academic and teaching buildings, welfare services, catering and social facilities and even the halls of residence, if you are living in University accommodation. You can organise most of your day-to-day needs without leaving the campus. There is a bank, a pharmacy, and a general shop where you can buy groceries, newspapers, stationery and even top up your phone card. The Computer Centre sells a range of IT-related products such as printers, network cables, memory sticks and disks, and the Students’ Union hosts a weekly fruit and veg market and Fairtrade stalls. The University is just a 20-minute walk – or a short bus ride – from Uxbridge underground station, so it is a straightforward journey into the centre of the capital. There is also a night bus that can bring you from central London to the edge of the campus. The town of Uxbridge itself, which still has buildings dating back to its time as a Georgian market town, is a thriving commercial and business centre. Its major shopping complexes, The Pavilions and the Chimes Centre, boast a wide range of shops, cafes and a nine-screen multiplex cinema. Brunel University welcomes applications from students taking A Level examinations and the International Baccalaureate (IB) for direct entry into its undergraduate programmes. Details of the grades of points required can be found in our undergraduate prospectus or on the website under the heading ‘Entry Criteria’ for your chosen course. Students with a M6 qualification will normally be expected to undertake a foundation programme to be eligible for admission to an undergraduate degree programme. If you do not meet the requirements for direct entry to our degree programme, we will assess your eligibility for a relevant foundation course where applicable. We offer foundation programmes in Engineering, IT, Business & Management and Economics. Holders of a Bachelors (Honours) degree with good grades will be considered for entry to a Masters degree. For certain courses, work experience and/or specific academic background will be required. As a guideline, we require between GPA 2.6-3.0/4 or above but exact requirements will depend on the course you are applying for. If you do not meet the requirements for direct entry to our degree programme, we will assess your eligibility for a relevant Pre-Masters course where applicable. We offer Pre-Masters in Engineering, IT and Business and Management. A Masters level qualification from a prestigious university will normally be required. Further information on Brunel’s research interests can be located in the Research section. 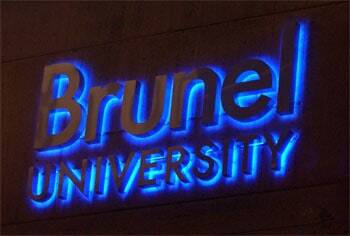 Brunel University also offers the New Route PhD. This is a four-year programme that combines taught and research elements. Applicants to the New Route PhD will not normally be required to hold a Masters degree when they apply to the University. All international students applying to Brunel need to provide proof of their ability to speak and understand the English language. You can find details of the level needed for each course on our course pages. 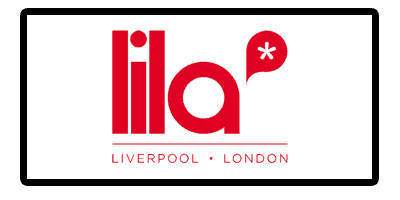 A full list of the qualifications we accept can be found here. For students wanting to improve their English language we offer a wide range of English language courses.